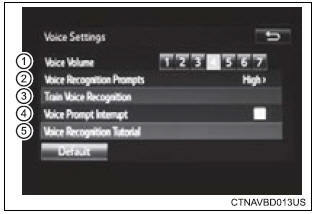 Adjust the voice guidance volume setting. Set the voice recognition prompts �high�, �low� or �off�. Set the train voice recognition. Set the voice prompt interrupt on/off.